The students of the Department of Textile Engineering, World University Of Bangladesh (WUB), visited the largest third party testing organization in South Asia “ITS Labtest Ltd., Intertek - Bangladesh” located at Tejgaon Industrial Area, Dhaka on November 15, 2018 & November 19, 2018. The students were accompanied by two faculty members:A.M.Riasat Alam and Malaz Rahman Khan. 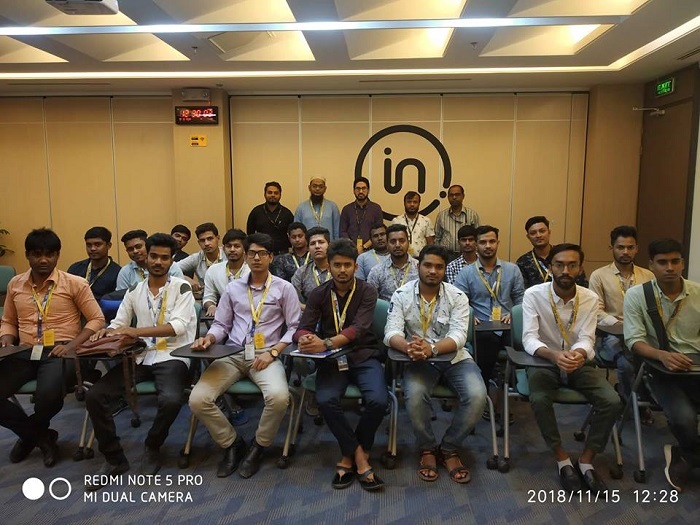 The officials of Intertek cordially received them &guided them withpractical exposure & insights of latest testing machinery, methods, and working environment. Earlier Md. RakibUz Zaman, Manager, Textile Lab, Intertek Bangladesh; along with Sakib Imran Khan, Manager, HR; andRuhul Amin, Officer, HR, visited the Textile Department of WUB and attended a seminar where Md. Rakib was the key note speaker on the topic “Overview of the Procedures of Physical and Chemical Testing”.